Pre-heat your George Foreman Grill. Choose the bread of your choice, we decided on a malted grain loaf for an extra crunch. Mix a tin of tuna with a couple of tablespoons of mayonnaise, season and set to the side. (For a healthy option switch the mayonnaise for Greek yoghurt). Spread a little butter on the slices of bread. Lay one slice of bread butter side down onto the George Foreman Grill. 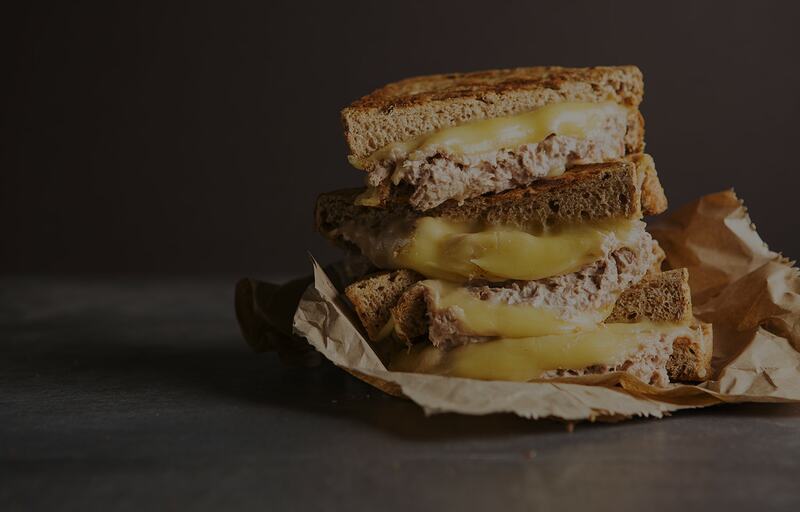 Add tuna mayo to the bread on the grill and top with cheese (we choose a mature cheddar for our toastie)! Top with the remaining slice of bread - butter side towards the grill plate and cook for 4-5 minutes or until bread is toasted and cheese is melted. Serve with a side salad if you fancy - enjoy.